SINGAPORE – South-East Asia’s leading e-commerce platform Lazada and the leading global lifestyle brand for gamers Razer™ today announced the launch of a new region-centric digital game store. 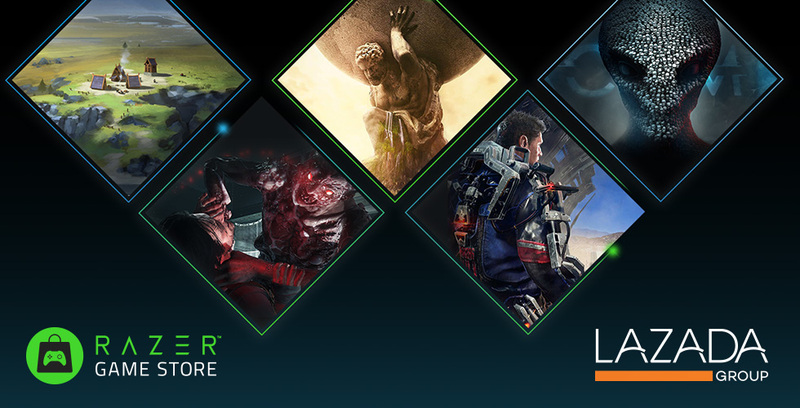 The Razer Game Store on Lazada offers fans across South-East Asia instant access to hundreds of digital games curated at local price points. These include exciting new releases such as Far Cry 5, as well as all-time favorites like Grand Theft Auto V, Assassin’s Creed Origins, Tom Clancy’s Ghost Recon Wildlands and Fallout 4. Games are sold in the form of game keys activated on platforms such as Steam, and Uplay. The store will launch first in Singapore, followed by Malaysia and Thailand this quarter, and Indonesia and the Philippines thereafter. “The Razer Game Store on Lazada is the only official Southeast Asia-centric source of original PC digital games from publishers all over the world. We are delighted that Razer has chosen to open its first-ever game store in Southeast Asia on Lazada, expanding our partnership from gaming accessories to the hottest games to bring a complete experience to players,” said Hari Vijayarajan, EVP and Chief Business Officer, Lazada Singapore. Leveraging Lazada’s regional e-commerce expertise, the store will regularly offer fans promotions, including in-app specials, tailored for its home markets and in local currency. For example, Lazada’s upcoming 6th birthday bash will include a bevy of exclusive promotions from brand partners, flash sales, vouchers and discounts of up to 90 % in Singapore alone. Alongside these hits, gamers can also find discounts on great indie titles like Cuphead, Dead Cells, Bomber Crew and many more. An additional 15 % off can be claimed by using the limited RGSLAZ15 discount code on checkout.